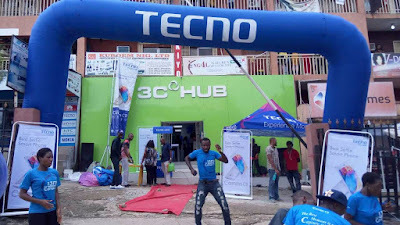 Popular Smartphone Store, 3C Hub has just announced the massive discounts its stores would be offering customers on products ranging from smart-phones to accessories. These discounts on products are coming on the heels of its 3rd year anniversary which is being celebrated this year. The announcement was made available to our team by the Digital Marketing Manager, Mr. David Olamilekan. According to Mr. David, “We would like to appreciate all our loyal fans and customers over the years for their faithfulness and their staying with us”.There would also be instant gifts given to every customer who purchases products from us during this period, he added. The promotion would end on the 31st of August, so fans, what are you waiting for? Hurry to 3C Hub and be met with massive discounts on various devices and gadgets in a store near you. If you do not know a 3C Hub location near you, I could help you with that if you use the comment feature. Good morning readers and Happy New Week! Did you graduate with a 3rd Class degree from a University in Nigeria? Have you struggled with this for a while and you plan to further your study with this degree? This post is for you. You can earn a Master’s Degree from reputable Universities in the UK, USA, Canada and Australia with flexible entry requirements as students with a 3rd class and HND can apply - no SAT, ACT, GMAT or GRE needed. Apply into any of the 34 University programmes in 8 countries with access to a wide range of salary placements and internship. Click HERE to register and meet with their representatives at the venues below and start your application right away.